If you have, chances are you’ve overpaid for textbooks in the past. 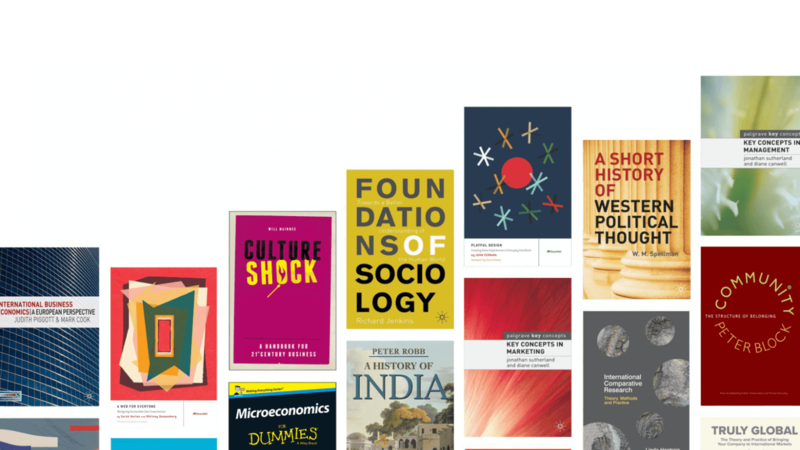 Perlego provided a solution to this issue, working with over 650 publishers to give subscribers access to over 200,000 academic and professional e-books. When this “Spotify for textbooks” invited me to their offices in late 2018, they were presented with a comprehensive list of possible improvements to their platform – the result of an extensive product critique. But how was this completed in less than a week – and what changes were suggested? Knowing that user research had already been carried out by Perlego, and accepting that anything I did in a week couldn’t be as detailed or thorough, led to approach different to anything I’d tried before. This was answered by “following the money”. 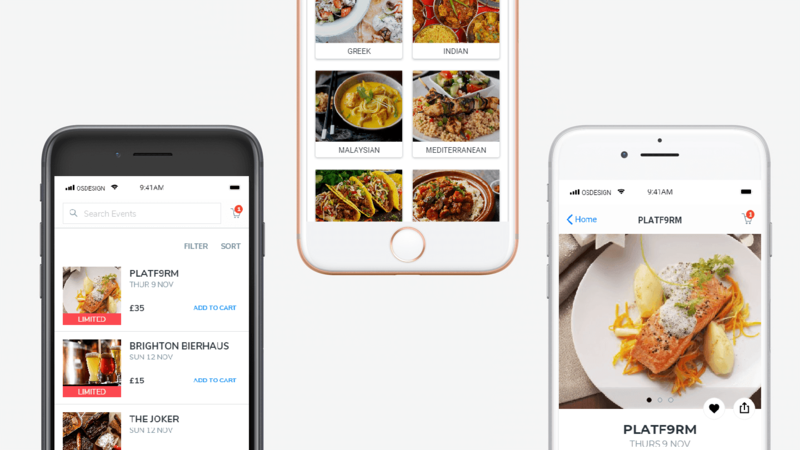 I was able to form a general picture of Perlego’s users by observing who they targeted with subscriptions, and what they were told about the service. 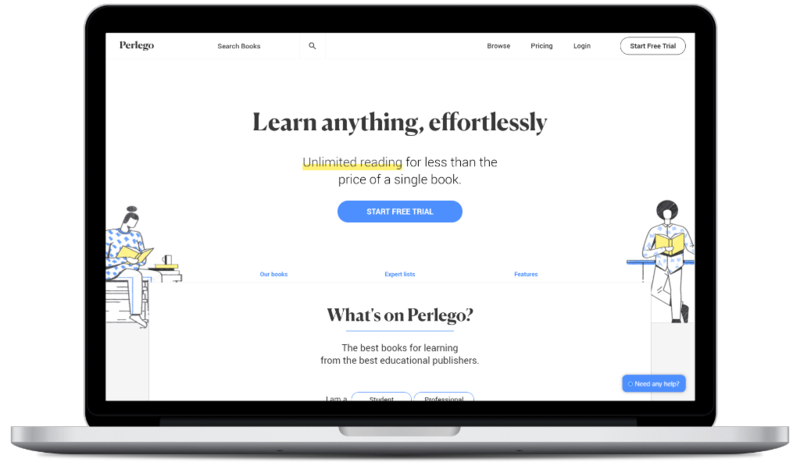 Perlego had two types of account on their pricing page – “student” and “pro”. “Business” accounts also existed – but with information about these hidden fairly well on the homepage, I came to the conclusion that these users weren’t a priority to Perlego. So what were the main concerns and goals of both groups? But most importantly, while both subscription plans offered the same access (although the student was 20% cheaper), the actual content each group wanted was different (see note). 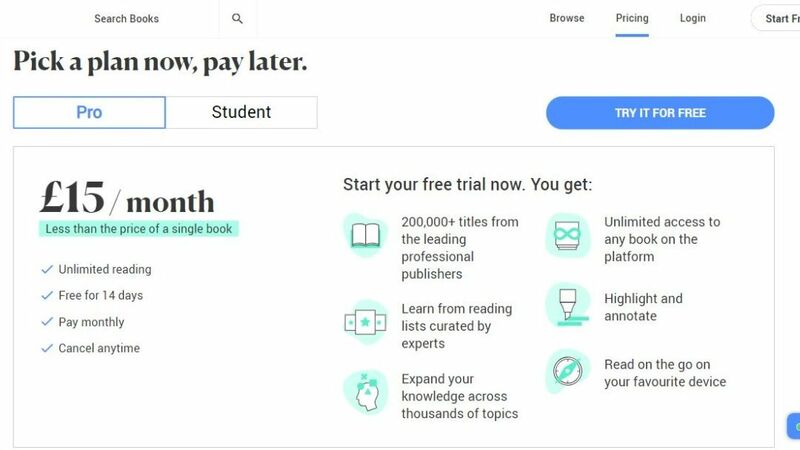 Students were more likely to use Perlego for textbooks only, while professionals would probably expect a book “library service”, similar to Kindle Unlimited. NOTE: This insight led to a suggestion that the student account be limited to textbooks only. As well as possibly encouraging students to upgrade to "pro", it got rid of one of the biggest issues with student discounts - "price discrimination", and the possibility of aggrieving "pro" users who were paying more for the same access. What was Perlego like to use for a new user? I tried it out for a few hours to find out. Then after, with eight pages of categorised notes based on the thoughts and ideas I’d had while using it, attention turned to what I’d spent my time doing. Most of my time was spent doing three things; reading books, looking for new content or returning to saved content. The quality of my experience also varied depending on what activity was being carried out. While reading a book was easy enough (and also the area that seemed to have been worked on the most), browsing/discovering new books was by far the most difficult thing to do – and hence what the rest of this article focuses on. no ability to filter or sort results. The books on the left were what Perlego recommended for UX/UI Design. 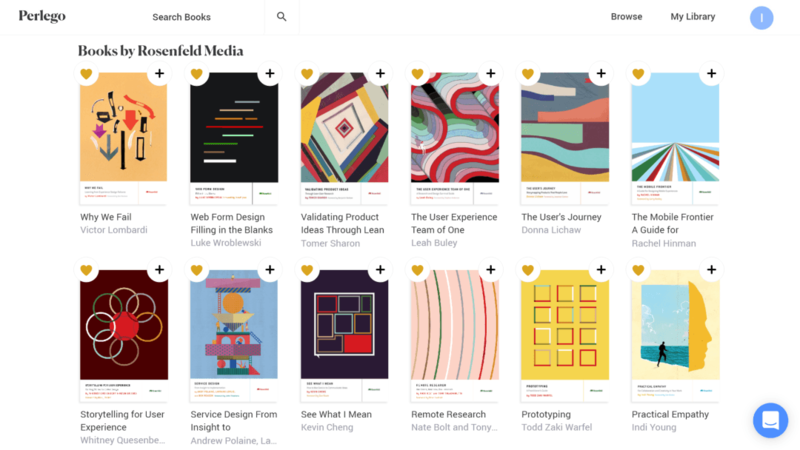 Ironically, the books on the right (by Rosenfeld Media, and much more useful to experience designers) were not among the hundreds of books included in this section. Good design wasn’t able to fix all the experience problems I encountered. Some issues, like an algorithm rewrite to give users more suitable book recommendations, could only be solved by developers. So what could it do? How do you organise your books? By category? Alphabetically? Size? Colour? Date bought/completed? Or do you just not bother? A quick sweep of social media, as well as responses from student and young professional friends revealed a trend towards two methods; ordering alphabetically (title/author), or by size. 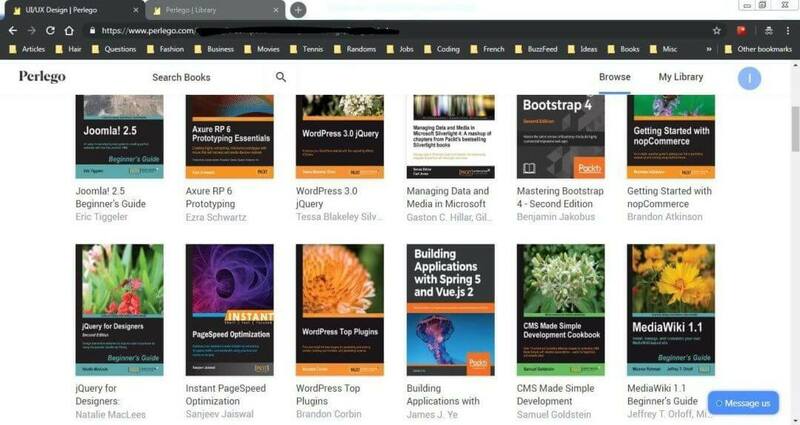 But when adding a book from Perlego to your personal collection, users were forced to choose a “list” to add them to – effectively sorting them by category. The model used to save books seemed to be more appropriate for a large bookshop, instead of a small personal collection. While sorting by category was a valid method, it seemed to both work best with larger book collections. But how many books did the average Perlego user have in their library? Was it overkill for users with smaller libraries to have to sort by category? Any new model for saving books would need to stay relatively consistent with the old system, as large changes (or “moving the cheese”) could lead to a possible backlash. At the same time, it also needed to cater to a users preference – difficult, as they could each have a different one. The answer was to create a “favourite” section that allowed users to sort their saved books in a way that they wanted (alphabetically, date added etc. ), replicating the general style of a bookshelf. 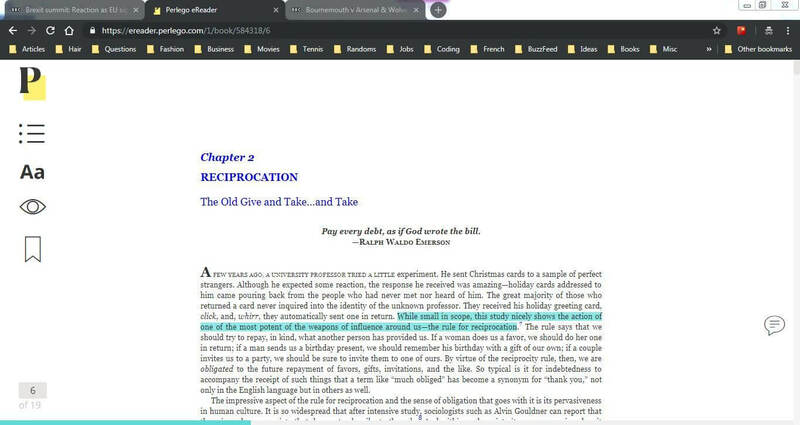 However, users could still add books to lists if they wanted to – keeping consistency with the old system, as well as allowing for large collections to be dealt with in the future (see note). NOTE: While books that were added as favourites weren't added to a list, books that were added to lists were automatically added as favourites. While the changes suggested in the last section were meant to improve the storage and organisation of books in “My Library”, they didn’t answer an important, related question. How easy was it to actually add books? The answer was easy – but time consuming. Adding books could get repetitive, and this was magnified with large amounts of books. There was also no way to add books to a list that hadn’t already been created without leaving the search results – an issue I expand on later in this article. So was there a way to improve this process? I carried out a hierarchical task analysis (HTA) to find out. Tasks highlighted in red were repeated for each new book that was added to “My Library”. But was this repetition really necessary? The HTA revealed two key things. Too much clicking to complete one task. 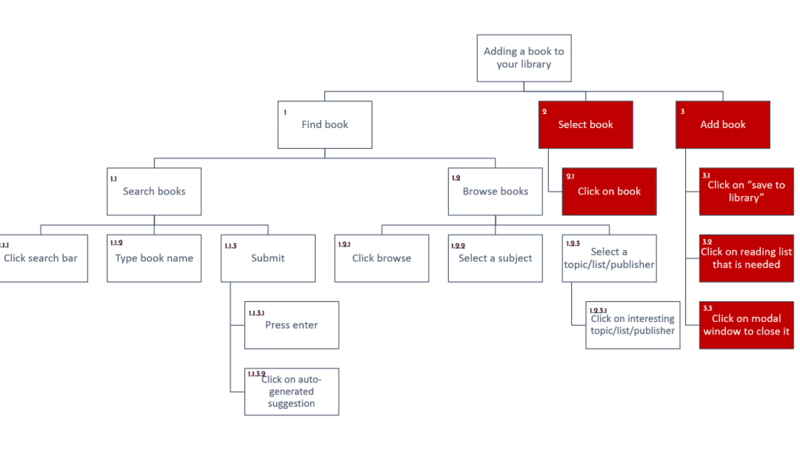 To add a book to the library, users had to select the book (first click), click on “save to library” (second click) and then had to select a reading list (third click). A fourth click to close the modal window was also required. A confirmation button that didn’t confirm. The confirmation button in the process (“save to library”) didn’t represent the end of the user’s task, as a specific list still needed to be chosen afterwards. Furthermore, this button was pressed after adding each book – adding unnecessary friction into the process. A confirmation button should signal the end of a task, and only be pressed once. To solve the excess clicking issue, “save to library” and “add to list” (3.1 and 3.2) were made independent tasks, with “favourite” and “add” buttons also being created. But pressing the favourite button immediately added a book to the favourites section of “My Library” – building on the change proposed in the previous section. Adding books to a list was slightly more complicated. My conceptual design for book tiles. A favourite button is on the left, allowing for selected books to quickly be added to the library, while the button on the right adds books to a list after one was selected or created. The current design (as of Jan 2019) didn’t have either of these. 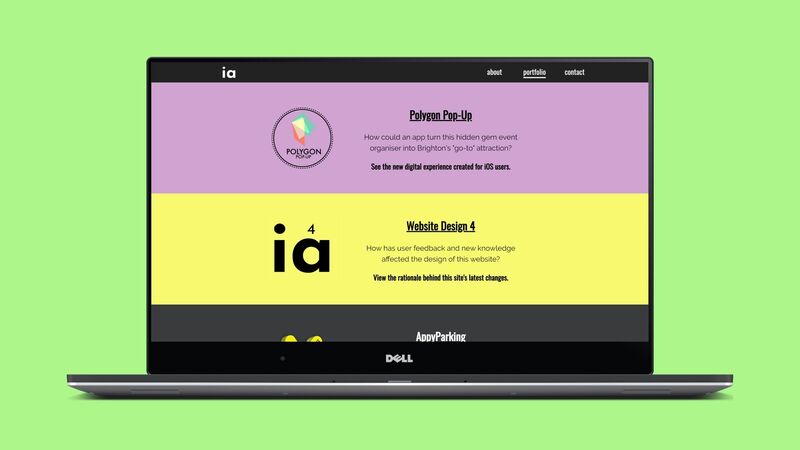 Users needed two options – to add to an existing list, or be able to create a new one. An immediate change in the UI (to provide users with instant feedback), presenting these new options, also needed to occur. But while the buttons to confirm (or cancel) adding to a list only needed to be clicked to end the task, selecting books to add to a list was a repeatable action. My proposal was to create a menu that slid in from the top of the screen, with the possible list options (add to existing or create new) included as radio buttons. As the confirm button only needed to be pressed at the end, multiple books could be added at once – reducing friction and saving time when compared to the current system. 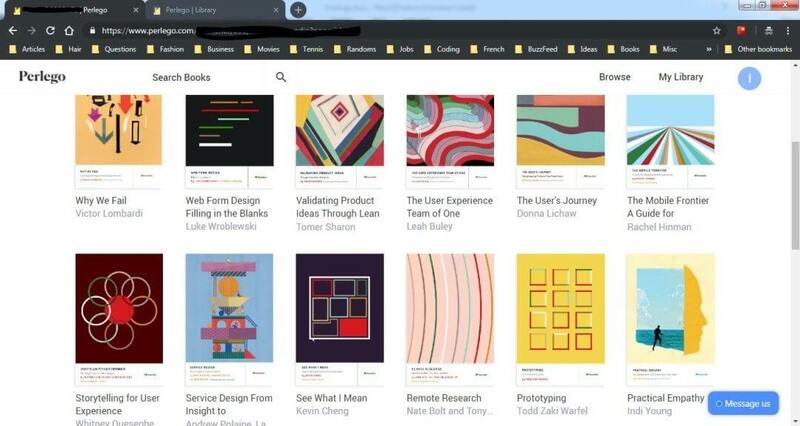 Perlego used infinite scroll as its design pattern to display browsing results, whether these came from searches or general browsing. But was this the right choice? 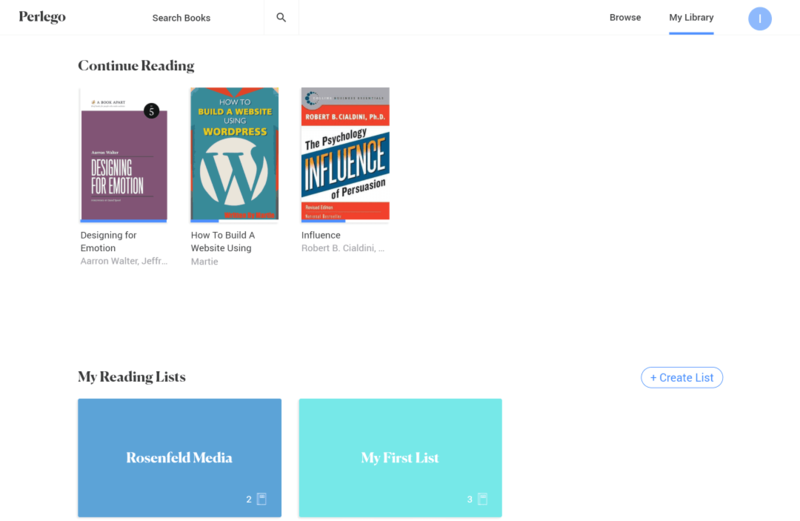 An example of infinite scrolling on Perlego when looking for books. Infinite scroll tends to work best with sites that have users consuming a lot of content, or on sites that want you to view as much of it as possible (e.g. Instagram, YouTube, Forbes). While there are articles that go into greater detail about infinite scroll and its alternatives, the general consensus is that infinite scroll shouldn’t be used for goal based tasks. The goal of searching is to find an appropriate (or acceptable) result. having less impact on browser memory (therefore increasing computer performance). Remember the “comprehensive list” I talked about at the start of this article? I’ve only talked about 3/26 points on it! 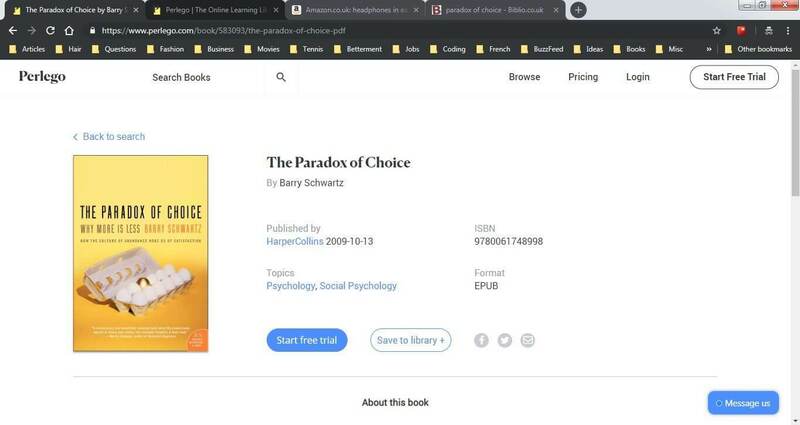 There’s still my analysis of the registration process and research on the benefits of eBooks and reading styles (including the book paradox), which in turn have guided my thoughts on Perlego’s eReader. I’m planning a sequel to this article – so stay tuned! The previous three versions of this site were development driven – which ended up neglecting the people actually using it. Could a user centered design process change this?